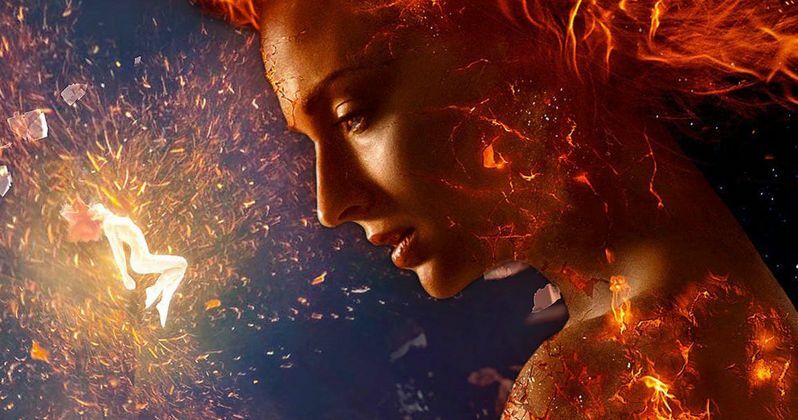 Dark Phoenix to Be Fox's Final X-Men Movie? After the massive $52 billion Disney-Fox merger was announced in December, fans have been wondering how this will impact the X-Men franchise moving forward. 20th Century Fox will release the sequel Deadpool 2, a spin-off of the X-Men franchise which also introduces the X-Force, on May 18, with X-Men: Dark Phoenix pushed from November 2, 2018 to February 14, 2019. If a new report is to be believed, Dark Phoenix will be the last "proper Fox Marvel movie", presumably ending the series' continuity. Marvel Studios president Kevin Feige reportedly has plans to put the X-Men and other 20th Century Fox Marvel characters like Deadpool and The Fantastic Four into their Marvel Phase 4 lineup. This new information comes from Comic Genre, which reportedly attended a "speaking engagement with some high-level Fox production crew members," where it was revealed that those who have worked on the X-Men movies behind-the-scenes have been told that their services are no longer required, since the franchise is shifting over to Disney. Marvel Studios president Kevin Feige is said to be, "hoovering up" all of the Fox Marvel characters for Phase 4, but no specifics were revealed, including if the same actors from the Fox Marvel movies will continue in the Marvel Cinematic Universe. This report also claims that these production members on the 20th Century Fox side have been left with their future in doubt, regarding their time with the company, once the Fox-Disney merger is officially approved, which is slated to happen sometime in mid-2019. This report also claims that X-Men: Dark Phoenix is currently undergoing reshoots, which involve entire sets that need to be reconstructed after they were already torn down. This isn't terribly surprising, considering that the studio shifted the Dark Phoenix date into 2019, but this report claims that the studio is not "entirely pleased" with the work of longtime writer-producer Simon Kinberg, who makes his directorial debut with Dark Phoenix. This report claims the director didn't "plan ahead" enough, resulting in the digital effects department having to re-build sets that were destroyed. What this report doesn't mention is how The New Mutants will fit into Marvel's plans. While The Dark Phoenix may very well be the "last proper X-Men movie," this X-Men spin-off is set to hit theaters on August 2, 2019, six months after The New Mutants. Still, there is no indication if this movie crosses over at all with X-Men: Dark Phoenix. It will also be interesting to see how this merger alters plans for a possible Deadpool 3 sequel, especially since Disney doesn't make R-rated movies, or the potential X-Force movie that is being set up by Deadpool 2. This report from Comic Genre has not been confirmed, and they do not identify which, "high-level Fox production crew members" were at this "speaking engagement." If this report is true, then it seems it will only be a matter of time before X-Men, Deadpool and The Fantastic Four will be integrated into the Marvel Cinematic Universe, although it remains unclear what will happen with projects in development phases like X-Force and Gambit.